Well, now you can! 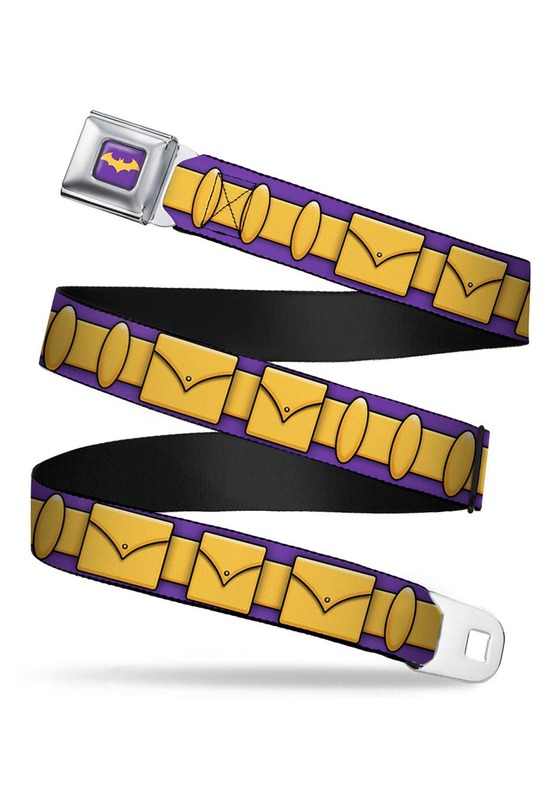 With this Batgirl seatbelt buckle belt, anyone can have the iconic belt from the comic books. This officially licensed Batgirl utility belt is made of nylon webbing and has Batgirl’s utility belt printed on the exterior. It might not actually be able to hold all of your crime-fighting tools, but it does have a realistic look inspired by the comic books. It’s fully adjustable and fastens with a seatbelt style buckle in the middle, which has the Batgirl symbol on it. If you’ve always wanted a Batman-style utility belt of your own, then maybe it’s time to give this Batgirl seatbelt buckle belt a try. It also makes for a great casual cosplay accessory if you plan on heading out to the next big con.